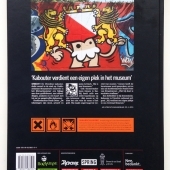 In 2006 gnome-like characters with a white beard and a red hat began to popup in the streets of Utrecht. 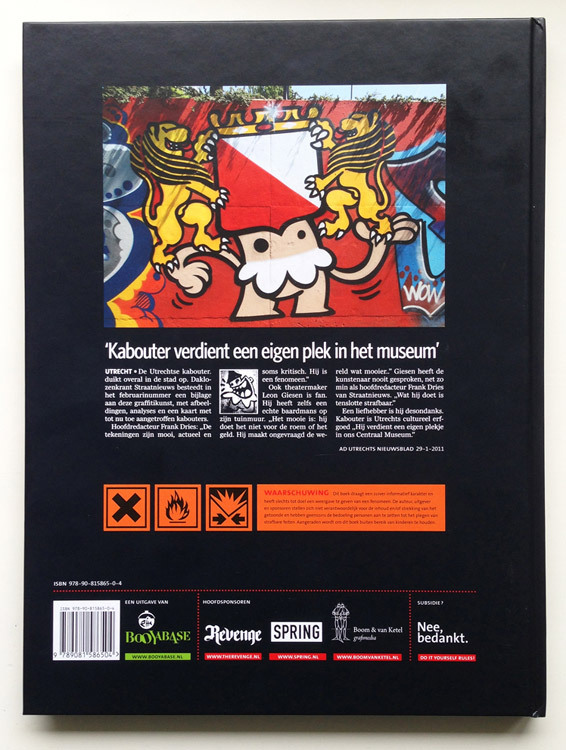 By 2011 the street artist known as KBTR (De Utrechtse Kabouter) turned into a phenomenon with a huge amount of fans and followers. 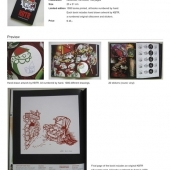 In cooperation with graphic designer Remko Koopman, KBTR made a selection of his work and the duo began working on a unique limited edition artbook containing photos, sketches, stickers and a numbered silkscreen print. 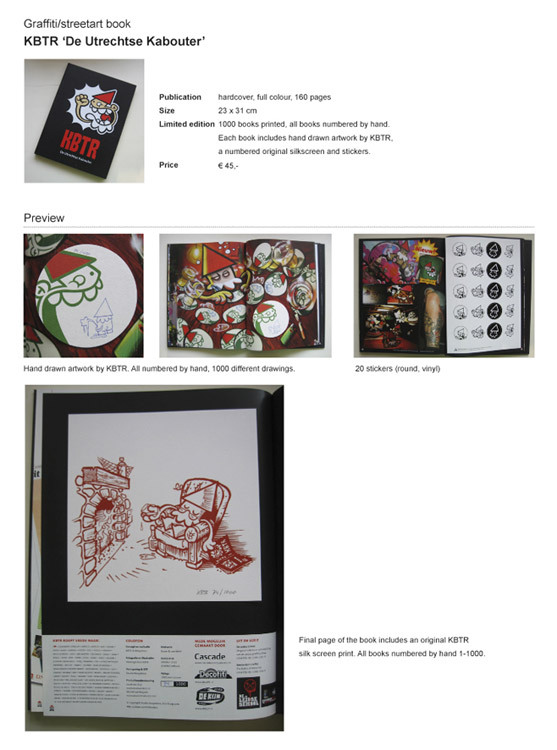 All books are numbered and include a hand drawn ‘bierviltjes’ with an original pen-drawing made by KBTR himself. Each book contains a different drawing.